A Maori gang has performed an emotional Haka outside one of the mosques targeted in the recent New Zealand terror attacks. As the crowd watched in silence, the group performed the ceremonial dance outside the Al Noor Mosque in Christchurch, where most of the 50 victims were murdered. Footage of the Haka has gone viral, with people praising the Maori gang for showing solidarity at a time when the community needs it most. 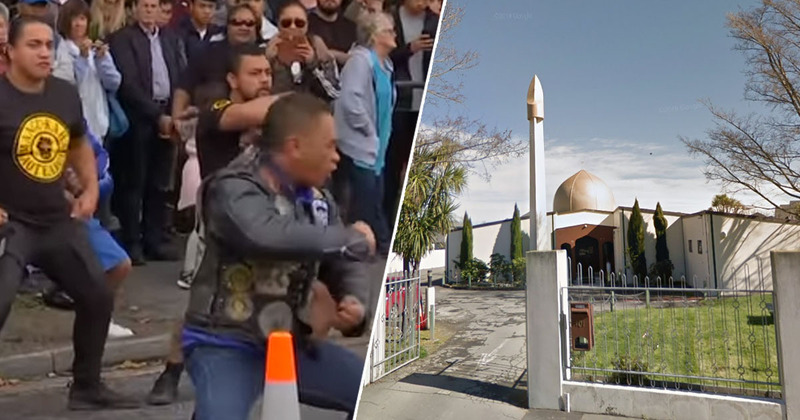 As reported by the New Zealand Herald, the group of men performed the Haka surrounded by dozens of mourners, facing the flowers placed outside the mosque. The crowd stood in silence. The attack, which took place at two mosques in Christchurch, have been described by New Zealand’s Prime Minister Jacinda Ardern as one of the country’s ‘darkest days’. 50 people have been killed and approximately 50 more wounded. The Maori gang, which was formed in the 1970s, said they wanted to oppose racism and stand with the Muslim community following the attack on Friday (March 15). One gang member, who didn’t want to be named, said ‘no words’ could explain the hurt people were feeling. Even though people call us a gang and what not, we live in this community together and it has just brought everyone together. It doesn’t matter what you wear or what colour your skin is, or what you stand for, your religion, it’s just brought everyone together like the earthquakes. We love this city and I think and it’s a shame it needs a disaster to bring our people together. The gang, called Black Power, said a time like this is probably the only time everyone can stand together collectively. It is sad today and going to be sad tomorrow and this is about the only time we can all be together collectively. We just wanted to transfer our mana to the people who are suffering, strengthen them, give them something so they can hang in there and get through. We can’t blame anybody, it’s not in my mind to do that, we will leave that up to the white people to handle it, we stay out of that and just do what we can to accommodate the Muslim community.